The Patient Protection and Affordable Care Act (PPACA) has become known as Obamacare to many and was signed into law on March 23, 2010 as a federal statute. This statute has become a huge issue between different political parties but was mostly upheld as being constitutional by the Supreme Court on June 28, 2012. This law requires that people without insurance from their employer or from a government sponsored insurance plan to maintain basic insurance coverage for minimal and essential services or pay a penalty. The individual mandate provision allows for exemptions for people based on their religious beliefs or cases of financial hardship. This law also mandates that insurance companies cover pre-existing conditions which have previously made many people unable to qualify for any insurance coverage. The goal of this act is to ensure that everyone has health care insurance, reduce the national deficit and slow health care cost inflation. The term “donut hole” has been commonly used to describe the gap in coverage many people have experienced once the limit on prescription drug spending was hit on Medicare. Many were forced to pay out of pocket for prescriptions they could not afford after hitting the cap but before reaching the threshold required to receive catastrophic care coverage from Medicare. The Affordable Care Act aims to completely close this donut hole by the year 2020. Medicare recipients will now have savings applied automatically when they run into this “donut hole” gap in coverage. In 2010, people with coverage from Medicare who had run into the donut hole coverage gap received a one-time only rebate in the amount of $250. The following year in 2011, this same group received a 50% discount on brand name prescription drugs that were covered and a 7% discount on covered generic drugs once the coverage gap was hit. 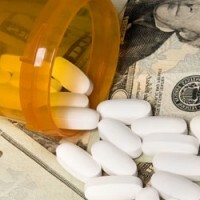 This year, the discount on covered generic drugs doubled to 14%. Both of the discounted percentages for brand name and prescription drugs will continue to increase until 2020 when the gap in coverage for Medicare recipients will no longer exist. Closing this coverage gap for prescription drugs has had a huge impact with more than $3.7 billion saved since the law was first enacted, according to a release by the Centers for Medicare & Medicaid Services. This change has helped more than 5,250,000 seniors and disabled people to afford the medications that they often desperately need. Many of the people affected have had to choose between food and medication at times – a choice that no one should be forced to make. A recent study by the Centers for Medicare and Medicaid Services has shown that 745,000 people have saved $485.3 million in the first five months of 2012 alone. This coverage averages out to $651 per person in prescription medication that is now taken care of. The Patient Protection and Affordable Care Act has faced numerous legal challenges and battles along the way that have even extended to the Supreme Court of the United States. A number of people, different organizations and a majority of the states have filed various actions in federal courts across the country challenging the constitutionality of this act. A majority of the act was upheld at the June 28, 2012 hearing of the case of National Federation of Independent Business v. Sebelius. The ruling of the Supreme Court stated that the mandate is to be considered a tax and is therefore, constitutional under the taxing authority of the Congress. However, only new Medicaid funding will be allowed to be withheld from noncompliant states by the federal government. The federal government had wanted to deny and withhold all Medicaid and Medicare funding to states which are noncompliant with the Patient Protection and Affordable Care Act. After the ruling, House representative Eric Cantor stated that they would vote again to repeal the law when Congress is back in session on July 11. The “Obamacare” act has saved millions of dollars in prescription drug costs to some of the neediest people in society – the aged and the disabled. Further closing of the coverage gaps in Medicare will result in even more prescription costs savings will ensure that these people have the medications they require.